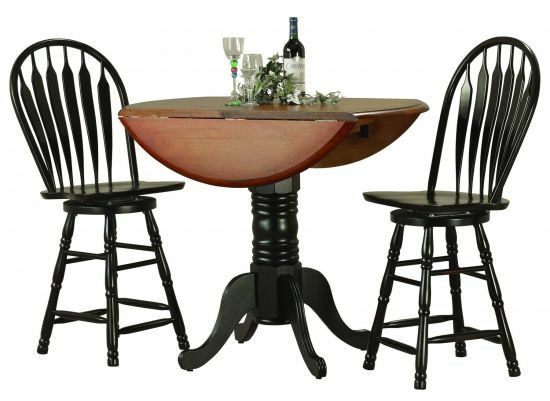 Borrowed from the decor of the old Irish and English pubs and Early American pubs and taverns, pub tables offer a new style and feel for today's lifestyle , sitting at a slightly higher height on barstools. Originally thought to be a passing trend,pub tables are here to stay and provide a unique option for today's kitchen, dining or great room settings. 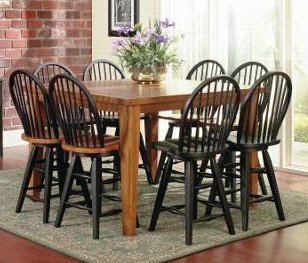 Many of the larger pub sets are also referred to as "Gathering Tables" since they inspire face to face seating around a square table for a cozier venue.